A review paper that suggested the degenerative brain disease that’s striking former football players may not be tied to contact sports has been corrected to reveal the first author spent decades working for the National Football League. The correction appears in a review in PLOS ONE about chronic traumatic encephalopathy – the degenerative brain disease that was the basis of a $765 million settlement for former NFL players, along with a number of similar lawsuits. It fixes incorrect statements and adds conflicts of interest, including those with with first author Joseph Maroon, who spent more than 30 years working with the NFL and seven for the wrestling group the WWE. The authors wish to amend the Competing Interests Statement for this article, which should have included additional information in relation to potential competing interests relevant to this work. The authors apologize for this omission and revise the Competing Interests Statement to read as below. The University of Pittsburgh Medical Center has received grants from the National Football League and the Pittsburgh Steelers. Dr. Joseph Maroon is an unpaid consultant for the Pittsburgh Steelers football club. He has been the team neurosurgeon for the Pittsburgh Steelers since 1981 and the medical director for World Wrestling Entertainment Corporation since 2008 for the management of spine and brain-related injury. He also has served on the National Football League’s Head, Neck and Spine Committee since 2007 and is currently a consultant to the committee. Dr. Maroon is a founder and shareholder in ImPACT (Immediate Post Concussion Assessment and Cognitive Testing), and the WWE has partnered with ImPACT to provide concussion management. Dr. Maroon has served as an expert witness in medical legal cases involving concussions. This does not alter the authors’ adherence to PLOS ONE policies on sharing data and materials. The notice also included corrections for two incorrect statements. Figure 1 indicates that the authors conducted a meta-analysis on 40 studies, which is incorrect. The text in the last box of the flow chart should read “40 studies included in quantitative analysis.” For the qualitative analysis of 58 studies, the authors gathered information on observed pathology, associated symptoms and suspected risk factors of chronic traumatic encephalopathy (CTE). The 18 qualitative studies that were excluded from the quantitative analysis did not present any pathologically confirmed case reports of CTE. The following statement in the third paragraph of the Discussion section is incorrect: “This is also true for athletes of contact sports with risk for head impact but with no confirmed CTE cases to date, such as rugby or soccer players.” There are both rugby and soccer players included in the authors’ dataset of pathologically confirmed cases of CTE (Table S1). Our review reveals significant limitations of the current CTE case reporting and questions the widespread existence of CTE in contact sports. Since the closing of the data collection in August 2013, there have been a number of additional reports documenting athletes and others with pathologically confirmed CTE. This includes an article by McKee and Robinson (2014) that reported on four US veterans from the recent wars who had a history of blast exposure and were found to have CTE at autopsy . A systematic analysis of those cases, as well as larger studies, are warranted to improve our understanding of the epidemiology of CTE. A related publication by McKee et al. (2014) published after the closure of our data collection . McKee et al. assert that the presence of hyperphosphorylated tau in recently concussed young individuals suggests head injury and CTE are mechanistically linked. Our study supports assertions by McKee et al. that CTE pathology is generally more advanced with increasing age and there is an increased incidence of suicide and accidental death in the select population being studied. When contacted for a comment on the correction, a spokesperson for PLOS ONE told Retraction Watch that the journal posted the notice after a pair of readers asked them about the authors’ competing interests. 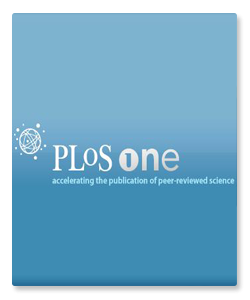 After the publication of the article, PLOS ONE was contacted by two readers who queried the declaration of competing interests for the article. 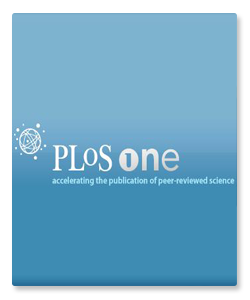 PLOS ONE staff contacted the authors and consulted with our editorial board in relation to the study. We concluded that information relevant under PLOS’ policy on competing interests was not included in the declaration published with the article. In accordance with the guidelines of the Committee on Publication Ethics, of which PLOS ONE is a member, we issued a Correction in order to revise the declaration of competing interests for the article. The Correction notice also included further clarifications about the systematic review requested following our consultation with our editorial board. We are trying to get to what the real risks are of sports-related concussion, and you have to wonder why they are promoting testing. Do they have an agenda to sell more ImPACTs? And if you’re writing a paper and you have anything to do with a company involved, it’s imperative that you disclose it. Maroon and Jeffrey Bost, the corresponding author on the paper, declined to comment. We’ve contacted the University of Pittsburgh and we’ll update the story with any responses. As well as working for the NFL, Dr Maroon has found time to co-author papers with Dr Russell Blaylock, who recently published an article called What Chemtrails Are Doing To Your Brain.